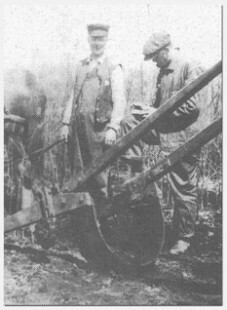 In 1895 Thomas E. Cashman, Dan Cashman’s grandfather, bought five acres and started growing nursery stock near Owatonna, Minnesota. He had been selling trees and shrubs for another nursery since the early 1890s. In those days, the “tree sellers” would travel door-to-door and farm-to-farm in a horse and buggy, as the automobile was yet to be invented. By the early 1920s, his nursery operation included over 1,800 acres, over 200 salesmen, and was covering eight states from Michigan to Montana and down to Colorado. 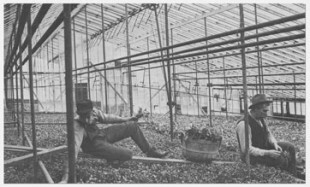 Cashman Nursery at Owatonna grew to be the largest nursery north of St. Louis, Missouri, growing over a million apple trees a year, not to mention millions of other trees and shrubs. Dan’s father, Thomas E. Cashman, Jr. (Eugene) started his own nursery business in 1941 in Fergus Falls, MN and at Minot, North Dakota. Eugene had 90 salesmen canvassing Minnesota, the Dakotas, and Montana. In the late 40s and 50s, he flew “house to house” in a Piper Cub airplane selling windbreaks and shelter belts to farmers and ranchers. Evergreens and trees were shipped by the millions each year, to provide wind protection and habitat for animals. To this day, customers recall memories of how Eugene would land his airplane in cut wheat fields or on gravel roads years ago. In the early 1960s, the third generation of Cashmans entered into the nursery business. Dan’s older brother Tim Cashman opened and operated Cashman Nursery in Minot, North Dakota for many years. Jerry Cashman, Dan’s younger brother, still owns and operates Cashman Nursery in Bozeman, Montana. Dan started in the nursery business in 1964, selling “house to house,” as his father did. In 1975, Dan and his wife Carol Cashman built the present garden center location in Bismarck, North Dakota and they have been in operation there ever since. Cashman Nursery is now starting to transition into its fourth generation. Dan’s son Thomas Casey Cashman (Casey), along with his five sisters, Nancy, Katie, Missy, Genevieve, and Amanda, have all helped out with the family business throughout the years, including starring in local television commercials. Casey is currently the manager of Cashman Nursery’s landscape design department. Someday, Casey’s daughter, Maria Carol Ann Cashman, may continue in the business operating in the fifth generation of Cashmans in Cashman Nursery! Cashman Nursery, in its 118th year, continues to grow and thrive just like the nursery stock that it sells! 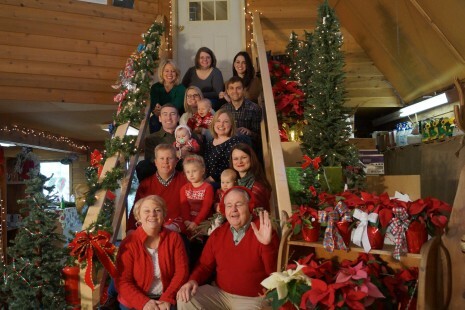 Below is a photo of the Bismarck Cashman family Christmas 2015.